Contact with ETs on the Big Island, 2012 Joan Ocean, M.S. This is an update about our interactive communications with our ET friends. 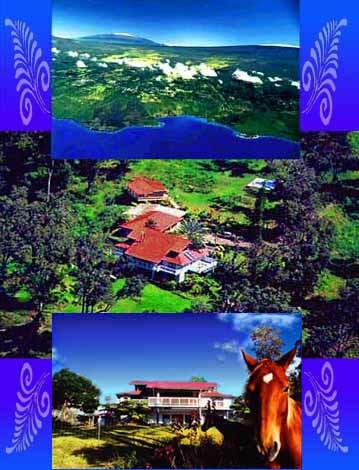 Contacts with our ET friends have increased over the past decade, while living on the mountain slopes of the Big Island. It is because of that contact that I relocated in the year 2000 from an oceanfront house with the dolphins to the slopes of Mauna Loa at 19.5 degrees north, the location of Kealakekua (Pathway to the gods). Every month since I arrived in Hawaii in 1988 the Dolphinville community members have gathered to contact our ET friends. At Sky Island Ranch we meet under the stars and around a low burning fire, unless it is raining. If so we then meet in the Ranch house. The focus of this contact has been to communicate telepathically with multidimensional beings. The people who attend are familiar with meditation. As we enter a meditative Alpha state, we are able to be relaxed while remaining alert and aware. We want to remain alert to receive the information and the healing that is coming to us. The group’s feedback about the experiences reveal sensations of a thick field of energy surrounding us as the Star nation people respond to our monthly gatherings. As their vibrations surround us, we are filled with feelings of deep love and peace. It is a welcome respite from a sometimes hectic world. 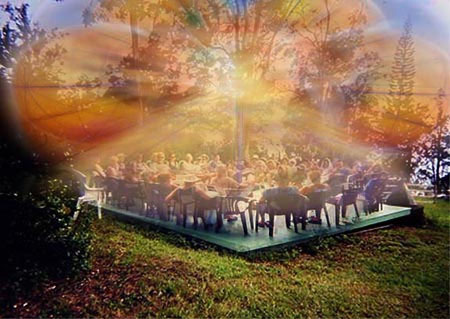 As we sit in our circle, we are immersed in an uplifting, harmonic cloud of thick mist that contains the loving essence of our ET friends when they merge with us. It is within this field of Love and Gratitude that we are able to communicate with them. This is our goal. To have telepathic contact and learn what we can do to assist the planet, our ET companions and humanity on Earth. Until we have a unified governance on our planet, the ETs cannot make mass contact in person. They are waiting for certain important changes to take place among the populace of Earth. Many of our extraterrestrial and ultra terrestrial neighbors can detect the spiritual evolution of people on a given planet, by reading the vibrational frequency of that planet from a distance. When a majority of people on Earth are asking for Peace and Compassion and demonstrating it in their personal lives, then the vibrational energy of the Earth will reveal this positive change. At that time the benevolent and altruistic ETs will be ready to meet with representatives on Earth face to face. Here at Sky Island Ranch we are preparing for that gathering with them. By swimming among the loving and joyful dolphins each day, learning from them, and then assisting each other as a caring community of friends, we are helping to change the vibration of Earth. We are also assisting our own evolution into the Light, sharing our love and healing with the dolphins and whales who surround this island and express their gratitude for our support by joining us in ever increasing numbers year after year. As we elevate our own frequencies, and travel into the future of our island timeline, we become aware of the planned arrival of the Star nations on this planet. We also acknowledge that many advanced and loving ET civilizations are already here, some of whom reside in the ocean waters where we swim. From the ET civilizations and Galactics such as the Arcturians, the Pleiadians, the Sirians and the Andromedans we have learned to Time Travel to parallel worlds, into the past and into the future. 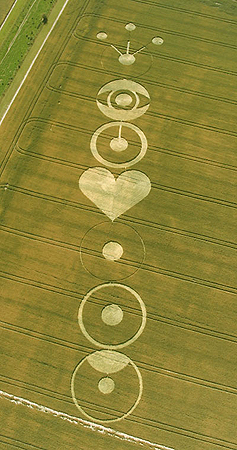 We do this by accessing portal tunnels on the land and interacting with fields of powerful loving energy as we meditate and join together in a spiraling circle. Participating together in this practice helps us in a number of ways. We can enter higher dimensions and travel easily with our ET friends, benefiting from their galactic experiences. Our own frequencies are constantly being uplifted which results in events sometimes called ‘Miracles’ that are now happening regularly in our lives, ensuring a positive, fulfilling and happy way of life. We are being prepared for higher levels of consciousness such as the 5th dimension. As part of this transition into the higher dimensions, we witness objects and realities disappearing and reappearing and we are becoming comfortable with that actuality of shape-shifting. We are living in a reality that is referred to as ‘the thinning of the veil’. Moving toward a natural world where all that you desire for fulfilling your spiritual work/play is instantly granted to you, by you. That's right, you are doing it with your Love. All questions that we have, are answered with great wisdom; often accompanied by feelings of joyful surprise and clarity. Who is answering us? 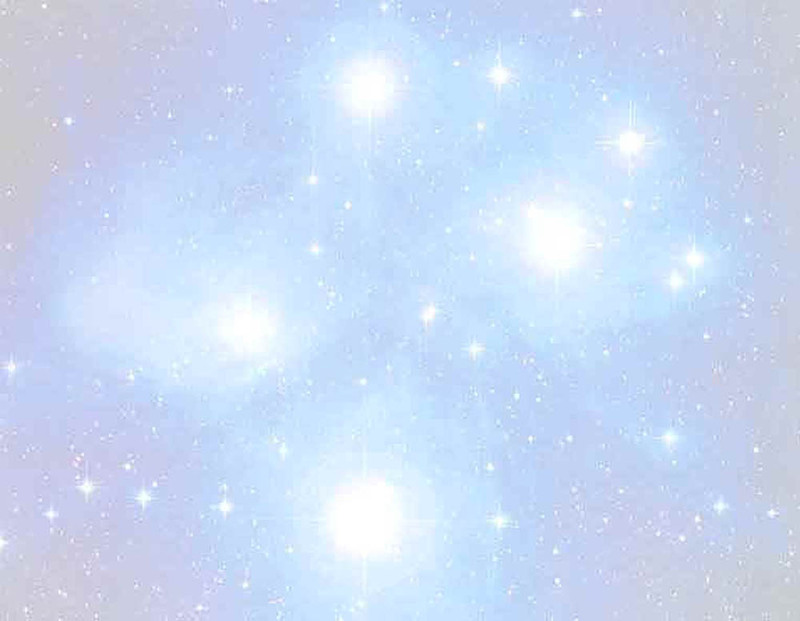 As we join our Star relatives in the higher frequencies of Light where all is One, we have access to universal wisdom. We are able to gain answers for all our sincere questions and choices for our lives, in resonance with our Star friends. These Beings of Light can time travel and know the future of our race and our individual lives already. They are pleased to share that information with us. As our frequencies resonate with theirs, we can access the future ourselves. It is a field of Harmony and Empowerment, in which we acknowledge the fullness of who we are and explore our previously dormant abilities. This is very inspiring. Our Love radiates out from this island in the company of the ancient Hawaiian Kahuna spirits, the Angels of the Big Island, the dolphins and whales and touches other people and places, reminding them of their heritage of love and kinship with all beings. The energies of Love propagating here move into the greater world adding to the increased frequencies of love emanating from the planet and ensuring the arrival of our Star friends in friendship with us to assist all people and the Earth herself. The entire solar system benefits and evolves into more and more Light. 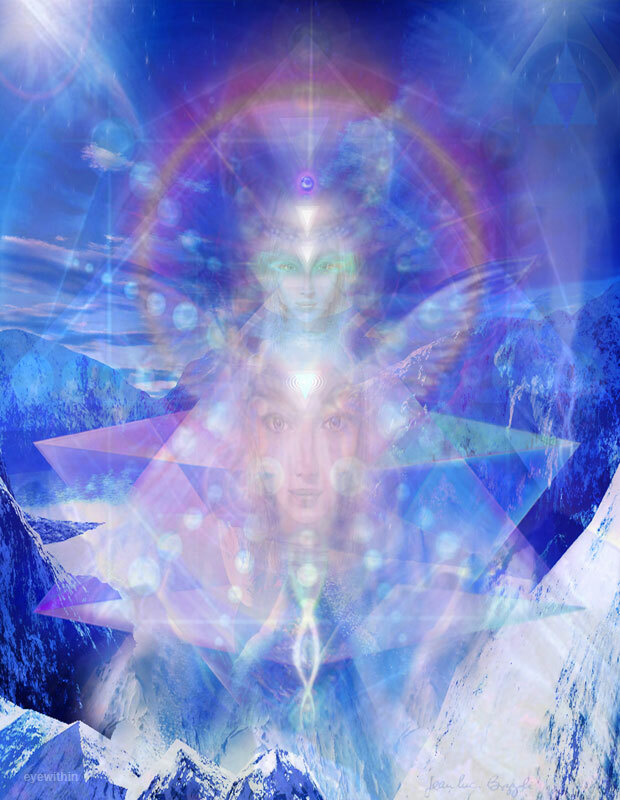 Arcturus, Ascended Master encountered in the Andes Mountains. This is an update about out interactive communications with our ET friends.
. And around our eyes! Many of us responded in the positive, at that time. We felt the love and sincerity in their communiqué and we responded in kind. Saying YES to the ET presence in our lives and for the good of Earth, we genuinely asked them to join with us in reviewing the needs on this Earth planet for health, healing, wisdom, equality and peace. We knew our ET friends were willing to assist us in overcoming unnatural divisions of power and climatic infractions on Earth. With their expertise and advanced intelligence in many fields of evolving civilizations, they could show us how to overcome unnecessary planetary challenges such as poverty, pollution, illnesses, shortages and egocentricity.
. To assist humanity in this transition into a new and better world, making us part of the greater galactic civilizations. Immediately thereafter, the Ships began to make themselves visible in our skies. They have always been here, but often, people did not see them. Now they could not be denied as they appeared in large numbers. The influx of Extraterrestrial Vehicle [ETV] sightings around the world of late is phenomenal. In many countries the ships are being reported regularly. The ET Vehicle sightings and Air Force videos in Mexico are a major step in awakening the human psyche. The populations of Earth humans are accepting this reality of Extraterrestrial Vehicles in our skies. They are here. We have been expecting their arrival and we welcome them. Please read on about the Mexican ETV updates and ETVehicle reports from Steven Bassett, Stan Friedman, Linda Moulton Howe, Jaime Maussan, Carlos Diaz and Santiago Yturria. Stay tuned for the next installments from them and us! In 1978 THE NINE (who identified themselves as a group that includes the frequencies of the numbers from one to nine and are as bright as the Light of Sirius B) told me that in the years to come, the human form would change. We would go from a carbon based body to a silicon one. This meant very little to me although I found it interesting enough to remember their words over the following years. Now I am in 2004. The ETs are making contact with people who have achieved a certain level of awareness, a consciousness that allows contact with higher vibrational beings. Not everyone is able to have that contact. But all of the Aware people are working toward that reality. All are doing their best to elevate their frequencies by many different means: diet, exercise, thoughts, prayer, meditation, service to humanity, education, dance, art, waking up, etc. I am also aware that the times of great Earth changes are approaching. How do I know? Is it because many psychics are saying so? Psychics who have demonstrated a good percentage of accurate perceptions? No, it is not that, although I listen to their reports. As you know there have been messengers warning us about these changing-times since as long as I have been on Earth! It is not that. It is my own inner knowing and my own observable behavior. Anyone who observes me these days would see that I am preparing myself, my home, my land and my friends for major changes on Earth. We are getting ready. We are buying supplies, we are preparing for changes and we are asking the ETs to assist us. I perceive the ETs assisting us now with advice, visions and experiential contacts. Then in the dawn of a new day, a new era, the ETs will be here to help us. That is when the human race on Earth will ask the ETs to join us and work with us.
. With their frequencies, with their love, with their balancing technologies, with their pod mind, their joy and their wisdom, they came onto the Earth plane through what they call "a Window in Time". They showed us who we are as Galactic People and reminded us of our Galactic relationships. Certainly they demonstrated (as a Galactic off-planet species themselves) how to enter the future. 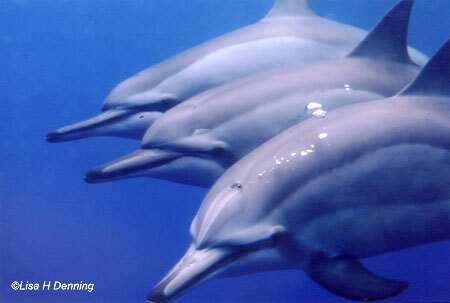 In my book (Dolphins Into The Future) I wrote about my excursions with them into the past and future. Time is not a linear occurrence, past, present and future occur simultaneously. We could "Time Travel" and we could influence the civilizations in other time zones. The dolphins did that for us when we asked for assistance. Knowing we on Earth can do this, you can easily accept that the ETs, much more advanced than we are, can also do this. And they are doing this - entering the past, present and future of other worlds and planets and levels of existence. Our ET relatives have come into our present by coming from our future. In other words we are the ETs we are seeing in the sky and on the landing pads. They are us. From their time zone, our civilization on Earth has already passed through the throes of conflict and chaos. We needed to come back here and rewrite our past (as the dolphins explained in my book: Dolphins Into the Future.) With the help of the dolphins and whales, we are doing this. These ETs are coming back to remind us about our "future." They are encouraging us (just like the dolphins are) to uplift our frequencies and make a conscious change into another reality, into our next stage of evolved consciousness. They are here to help us. Now it is up to us to prepare ourselves, to listen to the words and wisdom of the ETs and to know that we are the ETs and we are awakening and helping ourselves. This is wonderful. We are Blessed. Let us do all we can to communicate and learn from these, our higher selves, our guides, ourselves in our own future and make the necessary changes in our consciousness. We are not alone, and we are receiving the Unconditional Love and help of our ET friends. It is well accepted between the UFO and extra-terrestrial experts that all the five nuclear powers are in contact with the beings from other stars for quite some time. Recently India has seen enormous news on UFO contacts and secret UFO bases in Himalayas near the Chinese bases. In Ladak, for example the locals clearly point out the everyday phenomenon of large triangular spacecrafts coming out below the ground and Indian security forces protecting them. staffed by extraterrestrials in the Ladakh region of the Himalayas. aliens were indeed in the Himalayas. met with high-ranking officials of India's government. the world for thousands of years." visited. India is no exception." stations run by the military,' she says." happening with regard to the buildup of the Indian Army"
either the Indian side or the Chinese side." more about a strange incident that occurred in Joshimath. they saw onscreen a crystal clear picture--in color!" eyebrows. She had almond eyes and prominent cheekbones. recognized the fourth language as Uighur." puggaree (turban). He, too, spoke in an unknown language. everyone in the shop understood." and have placed the Ladakh valley under their protection. screen full of crackling static." The recent rush of world leaders to India is remarkable. Starting from Russian President Putin to major Senators from America have visited or are planning to visit India. European Union is in deep discussion with India on cooperation. All sanctions against India's nuclear programs and Indian Space Research Organization are in the process of being lifted. India is cooperating with Europeans and the Americans in space explorations and technology research program. India is also part of World Trade Organization. India is receiving major outsourcing contracts in IT and call-center service work from America and Europe. India's Forex reserve is at a level never imagined before because of international direct investments from Western nations, Japan, Korea and others. Interestingly, China the arc rival of India changed its posture in the last few years to make India's friendship and trade a priority. India is slowly getting to the point when it is accepted as a permanent member of the Security Council. All the five Security Council members China, America, Russia, France and UK support India's inclusion. Soviet military encountered many UFOs, maybe for this reason in the end of the 60s a secret laboratory of researching "flying objects" was created in the USSR. 1947. Antiaircraft guns of Transcaucasian Military District fired on the flying cigar-shaped object which came from the side of the Turkish border. The object"s flying altitude was below 4,000 meters, and the guns were capable of reaching a target at the altitudes up to 12,000 meters, but that time the fire made no harm to the "cigar". Then the cigar increased its speed and flew away over the mountains. This incident could cause much trouble, because earlier the border guards and military ships monitoring service missed this target. Then the military was unable to trace this flying object over the country"s territory. The Border District command ignored and ordered the monitors not to disclose the information that the object reached a speed up to 2000 kilometers per hour. Similar case took place in 1984 in Turkestan Military District. Near the city of Astrakhan air-defense system marked the ball-shaped object flying at the altitude of 2000 meters along the Caspian seashore in the direction of the state border. The object did not respond to the inquiry made by the military on the radio. Two fighter-planes took off, but they were unable to bring the object down. After being under fire, the object descended up to 100 meters, and at this low altitude the planes were unable to continue firing. Despite being fired at, the object was having a regular speed. The ball passed over several military units, which allowed to make its photo. Near the city of Krasnoyarsk the military tried to bring the object down with the helicopter. However, it quickly increased its altitude so that the helicopter could not reach it. After firing all its supply of shells, the helicopter landed, and the ball abruptly flew in the direction of the sea and disappeared from the radar screens. In the same area the similar scenario case happened later. The object having the shape of cylinder demonstrated its invulnerability. Such a demonstration could be the purpose of its flight, because this UFO was having a speed of 100 kilometers per hour. One can blame the military of inhuman actions on bringing down flying objects. But what can they do if the object was moving in the direction of the state border and they had the order to destroy such objects? In the end of the 60s a secret laboratory of researching "flying objects" was created in the USSR. Among the laboratory"s tasks was researching anti-gravitation, but the research results were made secret. Its testing area was near the town of Kapustin Yar on purpose. In the end of June of 1971 the military could see over this area a black cigar-shaped flying object floating under the clouds at the altitude of 800 meters. The object was 25 meters long and had about 3 meters in diameter. It had neither stabilizers nor wings nor engines and was moving at the speed of 150 kilometers per hour producing no noise. In 1978 ???? Soviet Ministry of Defense accepted Network MO program. Special military unit in the town of Mytishi was in charge of collecting data, and newly established "space troops" were designated to fight possible threat from space. In the beginning of August 1987 five soldiers of Leningrad Military District went to the North of Karelia region on a special mission. They were required to guard the object of unknown origin. It was found on the territory of another military unit near the town of Vyborg. The item was 14 meters long, 4 meters wide, 2.5 meters high. The object had neither doors no hatches, and all attempts to open its hull were unsuccessful. The military tried to break off some object parts, but were only able to take some rods from its stern. In the end of September the object disappeared from the hangar without leaving a trace. The dolphins and whales have shown me evidence of an ET presence in the oceans. I have researched the subject of underwater ET bases because I have seen on various occasions inexplicable, artificial lights deep in the ocean. They are large white lights that appear to be 5 - 8 feet across, facing upward toward the surface and illuminating the water. It is difficult to determine their exact size because the movement of the water expands and diffuses the light. In addition to these strange lights, many of us on the Big Island have experienced large, transparent, sphere-shaped fields of light as big as an Olympic-sized pool, while swimming among the dolphins. These disk-like clouds are in the water, near the surface and are 80 to 100 feet around. My rational mind wants to identify it as plankton or algae, but it is a white cloudy substance with nothing floating in it. These spheres are not composed of plankton or algae. They are something I have experienced for the past 6 years at Keahole Bay. Whatever it is, the phenomenon seems to be alive and pulsating. On the mornings when these domes of light are in the bay, we notice dolphin pods of approximately 150 dolphins swimming close to shore. They come to our boat and then bring us to swim inside the milky-white plasma egg. They seem to want us to go there, and so they lead us directly to it. When we swim inside, we can see nothing beyond our hands. We cannot see each other or the dolphins. We cannot even see our own feet. Strangely, we see our heads above the surface and then look below and see no bodies! It appears that our body is in two different dimensions at once. We often swim in and out of this huge floating plasma ball for 2-3 hours. When we finally swim away and board the boat to return to land, we feel very ethereal and lightheaded. We experience a quiet peacefulness, serenity, a heightened awareness of Beauty all around us, and a deep feeling of inner joy and gratitude. I am interested to hear from other people who have experienced similar ocean anomalies. Please write and let me know if you have heard of or experienced anything like this. For more than 100 years sailors of merchant and military ships have been reporting strange occurrences: underwater bright lights and unidentified objects. Majority of such reports came from regions of Persian and Siamese Gulfs as well as Southern Chinese Sea and Malay strait. such rapid speed. (On average, subs cannot exceed 45 knots). Obviously, the object escaped after maneuvering at 20,000 feet. A report was immediately forwarded to the Commander of the Atlantic fleet in Norfolk, VA. Suddenly, something emerged from the waters, breaking thick ice; the huge silver object then disappeared in the sky|. After thoroughly examining US Navy archives regarding such unidentified underwater objects, Sanderson came up with an interesting hypothesis. His hypothesis talks about the existence of highly developed civilizations right here on earth. All I can assume is the following: the hypothetical circular spaceships| could have used continuously working scanners of radar type, their beams in turn become visible for us only when they produce luminescent masses of small unicellular organisms. Such hypothesis appears to be rather believable. It can also be added that in cases where the emissive power of the so-called radar gets too high, then water itself will be luminescent. In 1928, peasants from the village Shuknovolk (Karelia) witnessed another remarkable event. The phenomenon remains a mystery even today. One of the locals, F. P. Fedotov, presents his account of those days. ground. Each hand contained four fingers. The creature was incredibly fearful; it would always hide in the water whenever approached by humans. Japanese have a legend of a cane man. According to the legend, not only did the man live under water but he also could fly at an incredible speed. The legend has much in common with the alien in Karelia. Both of them have membranes with claws. Japanese have an image of this creature which dates back to VII century.